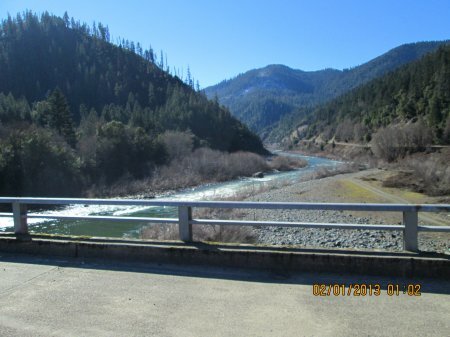 Alan Mash and I had been biting at the bit to go have a look as soon as I heard that our new mining property near Independence Creek is the richest mile of the Klamath River. We live in Medford, Oregon, normally only about two hours away. But it had been a cold, wet January in northern California and southern Oregon. Alan and I were prepared to dig through a little snow to get to the pay-dirt; but doing it in the pouring rain didn’t sound like that much fun. So we patiently watched the weather forecasts on the Internet and waited for the first good chance. Because of our close friendship and their substantial prospecting experience, we invited two other New 49’er adventure buddies to come along by the time the weather cleared. Bob Johnson has been prospecting for gold so long; he actually put himself through college by dredging for gold during the summer months. James McCarville also was part of this team. Everybody knows that James dredged up a 4-ounce gold nugget on the Rogue River this past season, the largest on record, I believe. We decided to make full a day of it. Prospecting guru, Alan Mash, brought his cameras along and is responsible for the images and video segments in this month’s newsletter. Since we were going down for a look, Dave Mack asked if we would capture some images and video of an additional (exciting) new mining property The New 49’ers just acquired around nine miles downstream from Happy Camp (see below). Dave also wanted images of two other extensive properties that we are not even allowed to talk about, yet. We got that bit of business out of the way before turning our attention onto the new property at Independence. The Klamath is running a little high at the moment, though the water is quite clear. I had my hands in it while doing some panning. It’s cold; but I’m not sure that it is much colder than the warmest the Rogue River in Southern Oregon ever gets during the summer months. The Klamath is only going to get easier to mine as we evolve into the spring months just ahead. Makes me excited just to think about it! As long as we were going to the property, Dave asked us to cross the bridge near the upper end, cross Independence Creek, and walk downstream until we could find some bedrock alongside the Klamath River. He wanted us to do a pan sample or two. This was just a formality; because everyone with any experience along the Klamath knows the Independence Mining District is super rich. Getting across Independence Creek was easier than I anticipated. It was only flowing about 18-inches deep in the pools. It was just a few inches deep down near the mouth of the Creek. We ran across four other New 49’er members in just the short time we were on the claim. This did not surprise us, because Montine in the office told me there has been a lot of interest in this new property. She said some members were out there sampling through the snow, even while it was raining. Well, we almost did that, too! But I’m really glad we waited. We could not have picked a better day. The sun was out and the Klamath River canyon was at its best. We sure are lucky to live in an outdoor wonderland! 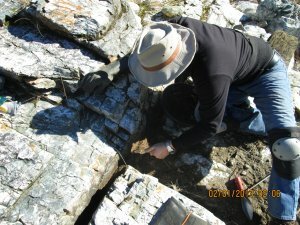 Bob turned up a pretty good pan out of a sample hole that someone else had already started in an open crack in the exposed bedrock. At first, I thought he was just fooling around when he said he uncovered a piece of gold sitting right of top of some brown-colored material. But I went over to look; and sure enough, there was a piece of gold just sitting there! Leave it to Bob to make the first strike. First strike is that very moment when everyone’s emotional juices get fired up! There are few other experiences in life quite like it. It is something like that moment of disbelief when you hit the jackpot on a slot machine. 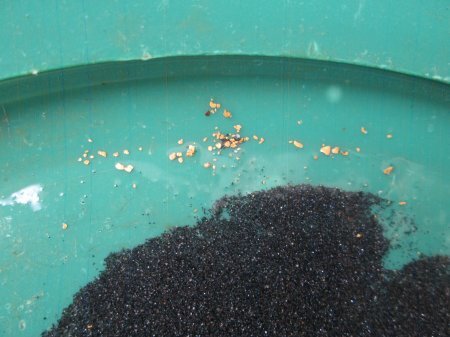 But it is better, because in gold prospecting, we are finding raw wealth! James and Alan also made a preliminary strike further up the bar. They were digging through about a foot of streambed sitting right on top of bedrock. By the looks of it, bedrock is going to be easy to find down near the river, and especially out into the river. The following video sequence captures James and Alan explaining their sampling program and showing off some of the gold. While those guys were sampling, I walked further downstream along the bank to get a better look at the shallow part of the river. That’s really the reason I went down there in the first place. My own interest is in the underwater crevicing opportunities on this new property. I’d like to get out beyond the reach of where the average surface miner can go. I could see plenty of irregular and jagged bedrock extending quite a ways out into the river, and then drop off into deeper water. The exposed bedrock has the very same kinds of open cracks and traps like what Bob was digging out on the surface. I dream about the gold that might be in those very same cracks out there under the water! It looks to me like there is an unlimited opportunity to do shallow underwater crevicing on this property using this new method of motorized underwater suction gravel transfer that Dave Mack outlined in last month’s newsletter. 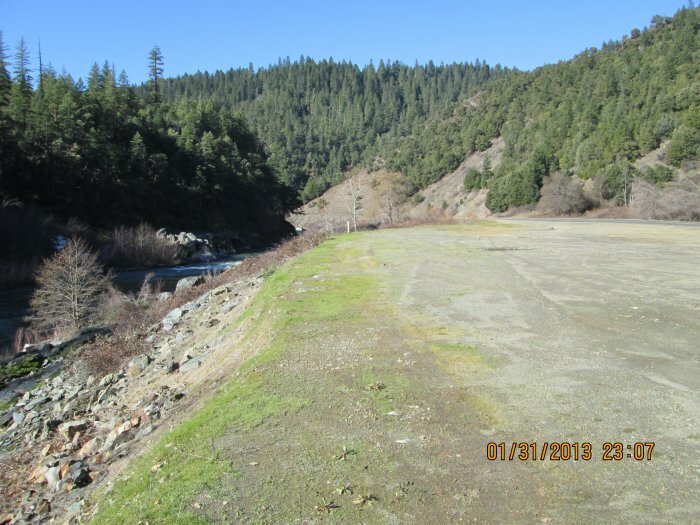 Looking over the new property from the Highway 96 side of the river, it appears that there is a full mile of shallow bedrock on the north side of this claim. And for that matter, the shallow bedrock just continues right on down the north side on our adjoining K-25 property just downstream! I don’t believe anyone has done any underwater crevicing down that way, either. This whole idea of sucking out underwater cracks in exposed bedrock is brand new. Frankly, I’m surprised we never thought of it before! I’m so excited; I can hardly stand to wait until spring to get started! The thing to keep in mind is that all four of us on this particular sampling team have always been serious underwater gold miners. We were all dredging on the Klamath until the moratorium in California came about three seasons ago. Then we moved north to Oregon; all the while, itching to get back onto the Klamath. 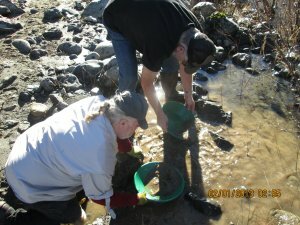 What makes the Klamath so interesting is that the high-grade deposits can actually fill up jars of gold once you tap into them! While we agreed to do a few pan samples for Dave Mack, we were really down there to survey the more serious opportunities which remain below the water’s surface. Dave confided in me that with the history he knows about this new property, along with this new method of motorized underwater gravel transfer, he believes there is a strong chance that he can recover more gold this coming season than during any other season in his career. All you have to do is read his new book to know that Dave doesn’t joke around about this sort of thing. In fact, when it comes to mining, he is the most serious and dedicated guy I know. Because of Dave’s other responsibilities, he only gets to mine part time. So, in my mind, Dave must know where there is an awfully rich stretch of river on this new property! He is staying tight-lipped about where he intends to begin the upcoming season. I admit that we spent a lot of time looking over the river to see if there was an obvious location where Dave Mack plans to start. The problem is that a mile takes in a lot of river! There is a lot of diversity on this property, fast and slow areas, along a continuous, slow bend which should put the richest gold line between the center of the river and the north side. While we picked out plenty of places we would like to sample inside the river, I have to say that this entire property looks fantastic! 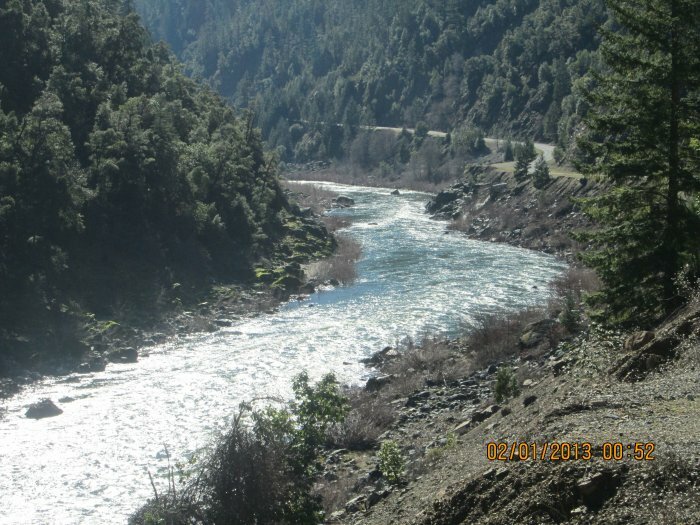 We Have Acquired Another Exciting High-banking and Crevicing Property Along the Klamath! More good news, you guys! 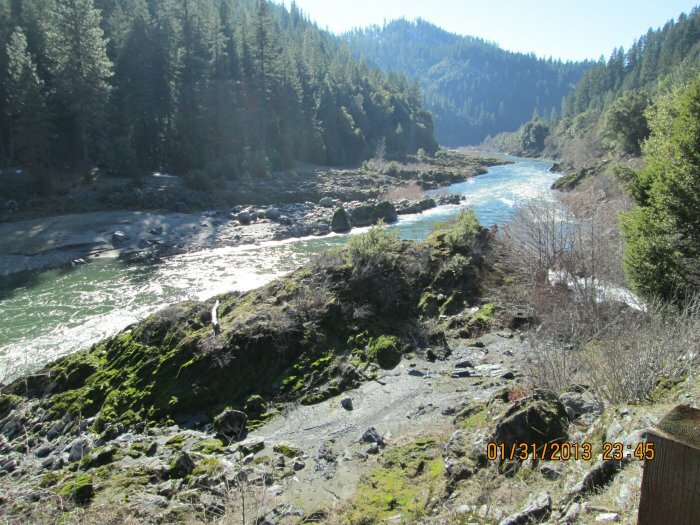 We have acquired another excellent mining property along the Klamath River 9.3 miles downstream from Happy Camp. This is another area we have had our eyes on for many years, mainly because of the extensive stretches of exposed bedrock and high-banking opportunity on the far side of the river. There is also a sizable pull-off area along the side of Highway 96 for parking and camping directly on the property. This is a rich mining property which has been held in private hands since before I arrived on the Klamath River in 1984. The owners did not allow anyone to mining on the property, save for one old-timer that has been camping in the roadside pull-off, paddling a canoe over the far side of the river, and digging the gold out of exposed bedrock cracks every summer since at least 1984. Now I am happy to say that the ¾-mile property belongs to us. 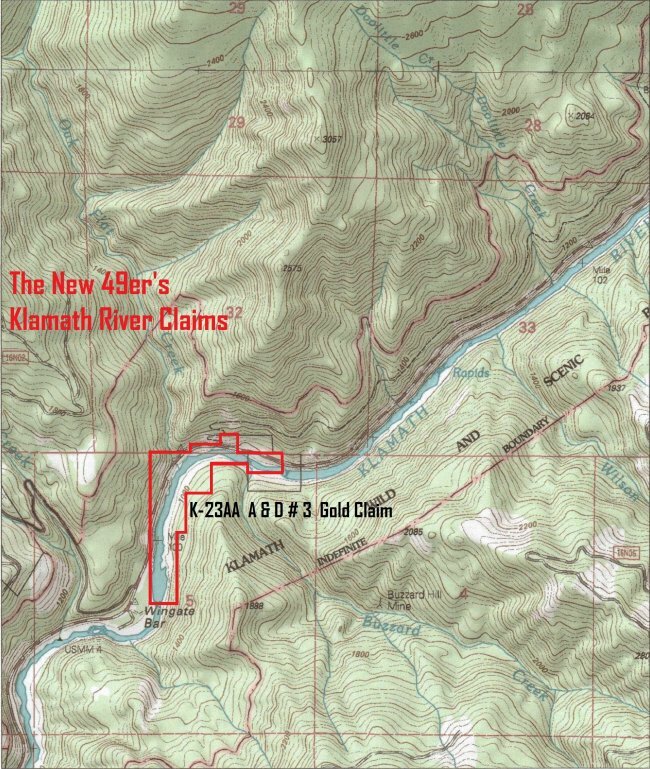 It will be logged on our Claims Guide as A & D #3 Gold Claim (K-23AA) as soon as we can get it up there.This property is not far upstream from our Wingate Property (K-23A), and we all know how good that has been for us, especially on the far side of the river! Here it is on Google Earth. If you are planning to work this property, I suggest bringing a small boat, perhaps with a small motor. The best gold deposits will likely be found on the far side of the river. This is yet another property where we may find ourselves conducting our weekend Group Mining Projects! All members are invited to attend our weekend Group Mining Projects and keep an equal share of the gold that we recover. Here are our planned events for the upcoming 2013 season: June 1 & 2; June 22 & 23; July 13 & 14; August 3 & 4; August 24 & 25. 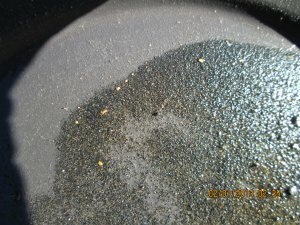 Oregon Senator Bates (Ashland-Medford District) and others have submitted several anti-mining bills to the Oregon legislature. If these destructive bills are passed into law, it will put a complete end to suction dredge and all other forms of motorized gold mining in the entire State of Oregon! These bills are being pushed by anti-mining activists who want to eliminate the last remaining productive economic activity on America’s public lands. Just at the time when we have figured out how to do some underwater suction mining in California, this is not the time for us to lose all of Oregon! If we do not all pull together and kill these bills right now, we will find ourselves devoting years and years trying to overcome them through expensive litigation. We must flood the Oregon senate with very vocal opposition right now! As many of you are aware, all of the civil litigation surrounding the California suction dredge moratorium has been transferred to San Bernardino County. This was a big win for our side, because we did not believe we were getting an impartial hearing in Alameda County. The multiple cases surrounding the existing moratorium create a complex set of issues. But they are all inferior to our Supremacy claim – which basically argues that the State of California does not have the authority to prohibit mining on the public lands. There therefore is a strong possibility that the judge may resolve the Supremacy issue as a first priority. If we win on this issue, there is a reasonable chance that the entire moratorium and freeze on suction dredging in California will be tossed out. That would be really good for our side! A similar Supremacy defense is being made in a completely separate case on behalf of a suction dredger who was criminally cited last season for suction dredging without a permit. On the one hand, the State passed a law that says we must have a permit to operate a suction dredge in California. And on the other hand, the State passed a law prohibiting the Department of Fish & Game from issuing any dredging permits. If that does not add up to a prohibition, I don’t know what does! There is some very persuasive case law from the Supreme Court which says that the State of California does not have authority to prohibit mining on the public lands. Since this is a criminal case, it may be resolved first. If it is resolved in the miner’s favor, there is reason to believe we will be able to suction dredge without permits until the State finally issues some reasonable regulations. Since the State apparently is not able to make a reasonable argument against the Supremacy clause of the U.S. Constitution, they have actually lowered themselves to an argument that the miner may not have a valid mining claim. Talking about trying to change the subject! I see this as a pretty good sign. All of this is moving towards a resolution pretty fast. We have been waiting for three years. Meanwhile, as we wait for these important issues to be resolved, I remind you that we have figured out a way to do motorized underwater suction mining in a way that requires no permits and does not violate California’s moratorium on suction dredging. Legal Fund Prize Drawing – Last Chance! Here is a link to our legal fundraiser. We will be giving away 15 American Gold Eagles on 8 March 2013. That is only a month away, so this is your last chance! This is all in an effort to raise money to support our challenge in the U.S. Supreme Court of a recent Ninth Circuit Decision which discourages small-scale mining on the public lands — and also to support our efforts in defending multiple cases in the California court system. Because we have given so much attention to our exciting new mining property acquisitions, and the new method of underwater mining, there has been almost zero participation in this latest legal fund-raiser. This is making me a little nervous, because it would be a disaster to bring in less money than the value of these beautiful gold coins! You guys have always been there for us in the past, so I am hoping for some strong support this month. We greatly appreciate your support in these fundraisers! Contribute to our Legal Fund! Lost Treasure Hunters on Youtube! For any of you guys who missed our first episode of Lost Treasure Hunters on Animal Planet, it is now playing on youtube. Check it out! Please Join Me on Facebook and Twitter! With the launch of Extreme Prospector, I have started up a blog which broadens the context to ongoing adventures and other important news and issues that we are all facing today. These include discussion and links to informative information about the economic realities of our time. Important stuff! If you are interested in up-to-date news, along with stories about extreme prospecting adventures (not just mine), I invite you to visit my Facebook pageat facebook/DaveMackExtreme and follow me on Twitter @DaveMackExtreme. There is a “Free eBook” tab on my Facebook page where you can download Chapter 10 of Extreme Prospector. I hope a bunch of you guys and gals will join me up there and encourage all of you to join in the discussion and “Like” my page to share with your friends. Signing up also places you on our Political Action Team. Things happen so fast these days; it takes too long to organize political action through the U.S. mail. As an example, just two years ago, in concert with other mining organizations, our Internet Action Team killed anti-mining legislation in Oregon in less than a week. We are already putting out industry-wide Action Alerts to defeat this new legislation being proposed in Oregon. All of these future battles will be organized over the Internet since it is so much faster. Please join us in the battle to maintain our remaining freedoms!